We help you outlearn your competition. And put more seller in your seller-doers. When it comes to growing your business reliably, you cannot put all the responsibility on the shoulders of the same few people—no matter how broad their shoulders are. Most professional services companies could benefit from having more people—capable people—to step up and help grow the business. 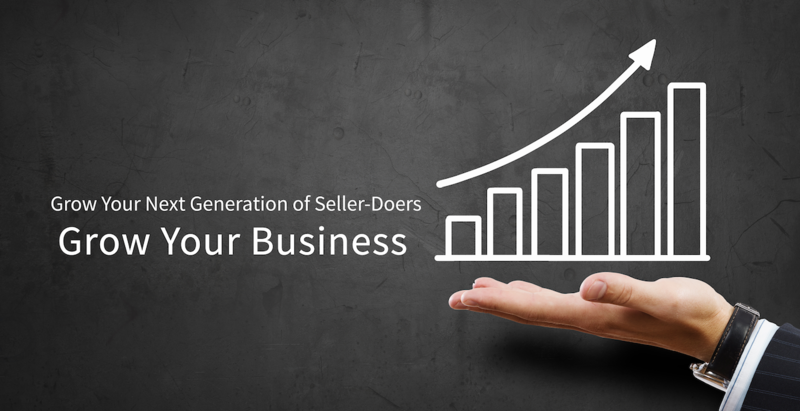 At the Seller-Doer Academy, we sharpen the skills of your existing seller-doers so that you get more “seller” from them. And we help you jumpstart your next generation of seller-doers so that they can contribute right away. The Academy succeeds where traditional training methods fail. Traditional classroom training has little impact on actual performance. Research shows that most knowledge delivered via traditional training has a 5–10% transfer rate back to the job (see Figure 1, bottom). There is a solution to learning loss. If you supplement traditional training with reinforcement and coaching on the job, the skill transfer rate back to the job becomes as much as 80% or more. Why? Because learning is a process, not an event. Now there's a better approach. At the Seller-Doer Academy, we go beyond training. We supplement traditional training methods with reinforcement and coaching. While your competitors continue to rely on failed traditional training methods, we will help you outlearn your competitors. 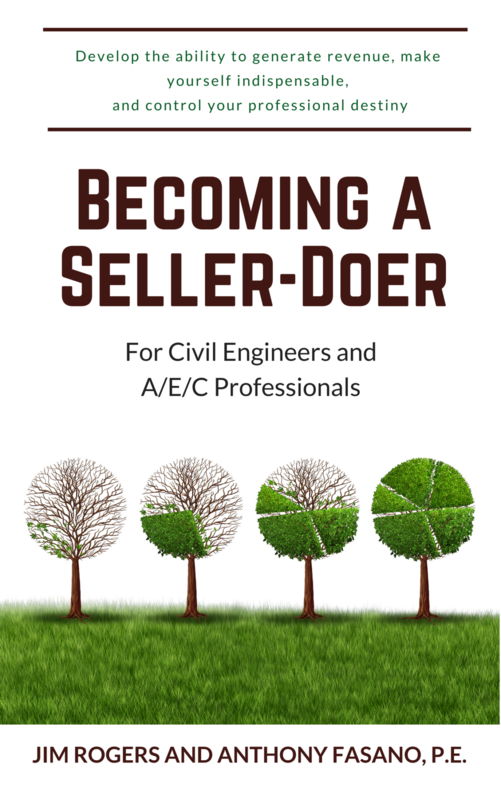 Seller-doers participate in a blend of several learning methods: lecture and demonstration, practice with feedback, reinforcement, and on-the-job coaching. Because learning is a process, rather than use a firehose, we instead deliver training in one hour increments spread out over time. Think of it as training by the “glassful.” Even by the glassful, we’ve packed the one-hour sessions with great concepts and tips. First, we describe and demonstrate concepts and tips via webinars. Then, participants get a chance to apply the skills by practicing with your company’s examples as case studies. During live coaching calls that are private just for your firm, we provide feedback on the case studies that you used for practice. Further, participants receive ongoing reinforcement via access to our expertise by email. But that’s not all, we also send them periodic email reminders with tips that they can use when they need them most—on the job. What’s more, we offer on-the-job coaching and consulting that limits learning loss and increases their retention—as high as 80–90% transfer back to the job. We use the term seller-doer to describe professionals who are highly capable of delivering client work and are now ready to take on a more active role in growing the business. In most firms, these are professionals in their early thirties through mid-forties. That said, clients who want to sharpen the skills of their experienced seller-doers include them in the Academy too. FIGURE 1. Per research by Joyce & Showers, traditional training methods such as lecture yield incremental performance improvement. 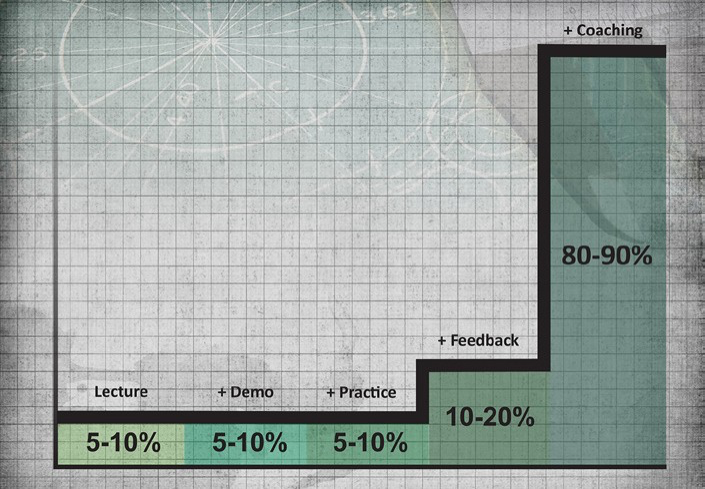 At best, 10% of what is taught transfers back to the job. However, when we blend traditional techniques with on-the-job reinforcement and coaching, knowledge transfer leaps to 80% or more. That is, training that includes coaching and reinforcement is “stickier” and more cost-effective.